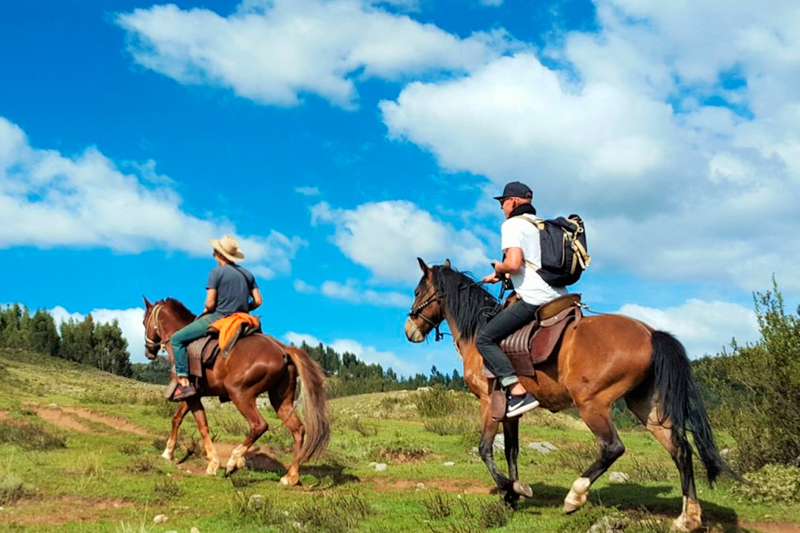 Horseback Adventure Full Day: The horseback riding adventure is the best way to see the Sacred Valley and some of the archaeological sites around the area. If you like being out and away from everyone you will love this tour. The horses we use are some of the best in the area. This ride is great for a beginner. It is not a typical slow and boring horse ride, neither for the horseman nor for beginners. I am a horseman myself and in my opinion this is some of the best rides in Cusco. I have been on many trails in Colorado, Wyoming, New Mexico and many other states in the US, and this ride is right up with the best. You will get to see a part of the area many tourists don’t see. Come and join us and see it yourself. We will make sure you have a great time! Peruvian Paso Horses are noted internationally for their good temperament and comfortable ride. These horses are used for pleasure riding, trails, horse shows, parades, and endurance riding. The horse is medium sized – usually standing between 14.1 and 15.2 hh – with an elegant, yet powerful conformation. This horse is one of the world’s last remaining naturally gaited breeds and is becoming a sensation among American horse enthusiasts for several and very good reasons. It has a smooth ride, it’s a very an elegant animal and has great strength and stamina. Our horse tours will be one you won’t forget. Our tour guides are all experienced horsemen and will do their best to make sure you enjoy your trip. Early in the morning at your hotel, you will be given an explanation of the tour together with a program, contract, and conditions of service. We will load up in our provided transportation and head to the town of Maras. We will pass through spectacular and beautiful landscapes. Before the trip begins, we will give an introduction to the world of horsemanship and the characteristics of the Peruvian Paso horse. A period of familiarization with the horses will follow along with a demonstration of how to handle the Peruvian Paso horse. Our horseback ride begins at the branch of Maras Tiobamba Temple from where a breathtaking panoramic view of the entire Cordillera Urubamba valley can be enjoyed. We head to the town of Maras, located at 3465m above sea level and 46 km from the city of Cusco. Maras is famous for its salt mines and ancient method of obtaining it, as well as its colonial doorways. While riding you will see impressive panoramic views of the Cordillera Urubamba and the snow-capped mountains of El Chicon, Veronica and Puma Huanca, which rise along the Sacred Valley of the Incas. We continue our journey through beautiful landscapes surrounded by mountains and is marked by the agriculture and livestock of local farmers. After an hour and a half riding, at this point we have traveled 7 km to the southwest; we arrive at the archaeological site of Moray at 3385m. It is also known for being the agricultural “laboratory” for the Incas, because of their method of adapting the different seeds to the local soil and harvesting. It is also well known of the archaeological remains in the Sacred Valley of the Incas. 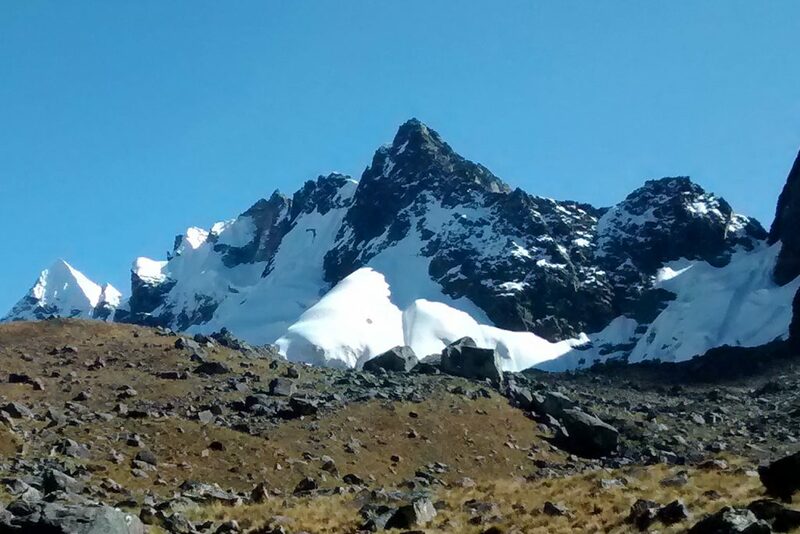 After visiting Moray, we get back on our horses and head to our own little place for lunch, a quiet and relaxing spot, in natural surroundings, away from the bustle of tourists, where we will have beautiful views of the mountains and glaciers of Chicon, Puma Huanca, Sahuasira and Pitusiray. After our lunch we will head through the town of Maras. After the visit to Maras, we’ll continue for an hour and a half, to the salt mines, passing through and enjoying its spectacular scenery. Maras is located with an altitude of 3500m. It covers a large area on the slopes of the hills and consists of about 3000 natural pools of salt water, about 5 square meters each, where salt is extracted for human consumption. After the visit to the salt mines, we will continue our journey towards Pichingoto, a community nestled in the Sacred Valley at the base of the mountain Qoriq’aqya, along the Urubamba River. It is a Quechua community dedicated mainly to agriculture. We will have the opportunity to see caves where old settlers lived and stored their crops. Some caves are on high levels of the mountain and ropes and ladders had been used to reach them. After the visit to the village of Pichingoto Vilcanota we cross the river to reach the road leading from Urubamba to Ollantaytambo. 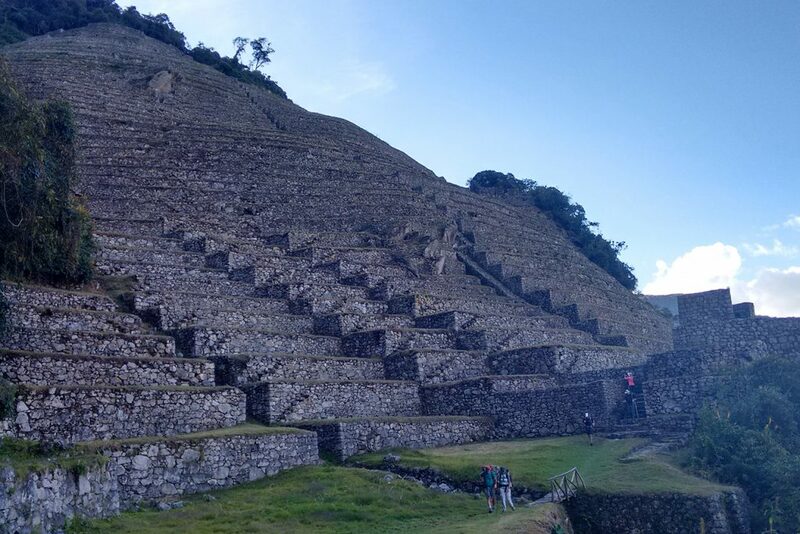 From there, we have the choice of taking the transport to the city of Cusco or to the town of Ollantaytambo. Peruvian Paso horses properly equipped with comfortable saddles. If you want to book this ride, let us know your preferred departure date and number of riders. A riders’ profile (weight, height, age and riding experience) is also appreciated, but not required.